The Hammock Preserve & Nature Center was named in honor of James S. Castellow who was a farmer that claimed the 160 acres of property and made his Homestead in early 1900. He was one of south Florida’s earliest citrus farmers. He carried citrus trees from the town of Cutler. Hugh Matheson, Jr. who had purchased the property in the 1950s for land trade but then the trade never happened. In 1962, Park included the tropical hardwood forest, which was a paradise for tree botanists and snail collectors. In 1974, Castellow Hammock Preserve & Nature Center in Miami Dade County was opened to the public. The park is located at 22301 S.W 162 Avenue Miami FL and is open on Wednesday to Sunday from 9 a.m.to 5 p.m.
Castellow Hammock Preserve & Nature Center is such a peaceful and beautiful place in a mteropolitan area. A large number of hummingbirds and butterflies grace the garden in front of the park. The beautiful native plants attract the visitors and the beauties of hummingbirds and a variety of butterflies. The Great Florida Birding Trail is included as one of its visitor attractions. A tropical hardwood forest still covers most of the park and offers an interior view of the forest to visitors. Castellow Hammock Preserve & Nature Center has reported more than 120 birds species and more than 70 butterflies species. The Reported mammals are opossum, raccoons, short-tailed shrews, flying squirrels and gray fox. An interesting chain of amphibians and reptiles are also reported (including the colorful and venomous eastern coral snake). 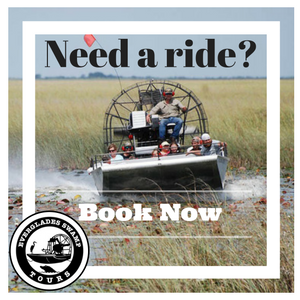 Castellow Hammock Preserve & Nature Center offer a various types of educational classes and the Park staffs offers guide for Eco tours, which include canoe trips, excursions, fishing, nighttime owl walks etc, for interested Visitors.